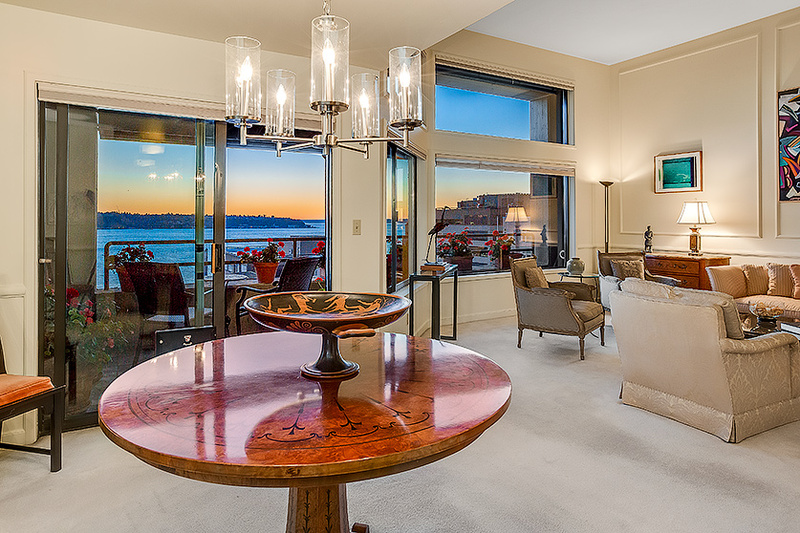 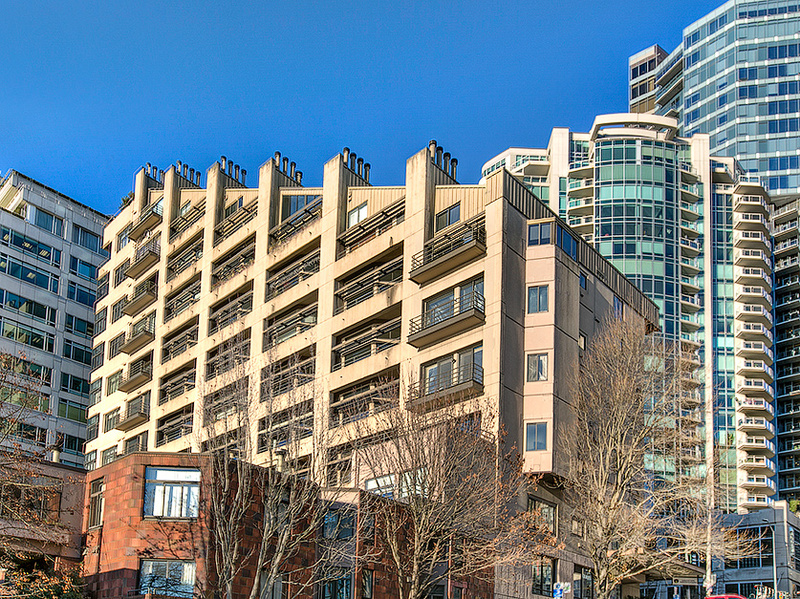 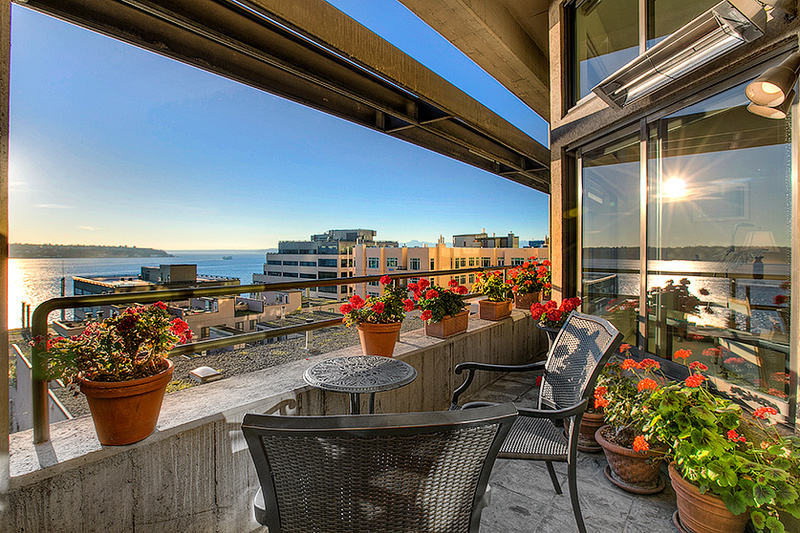 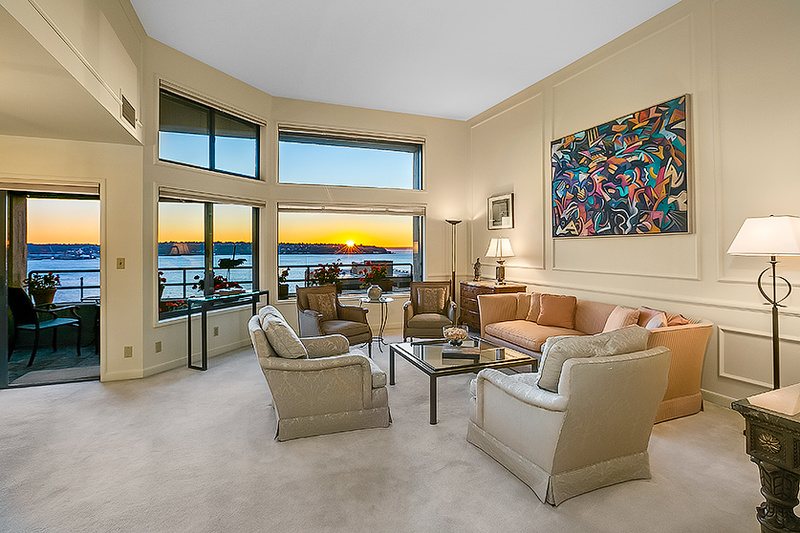 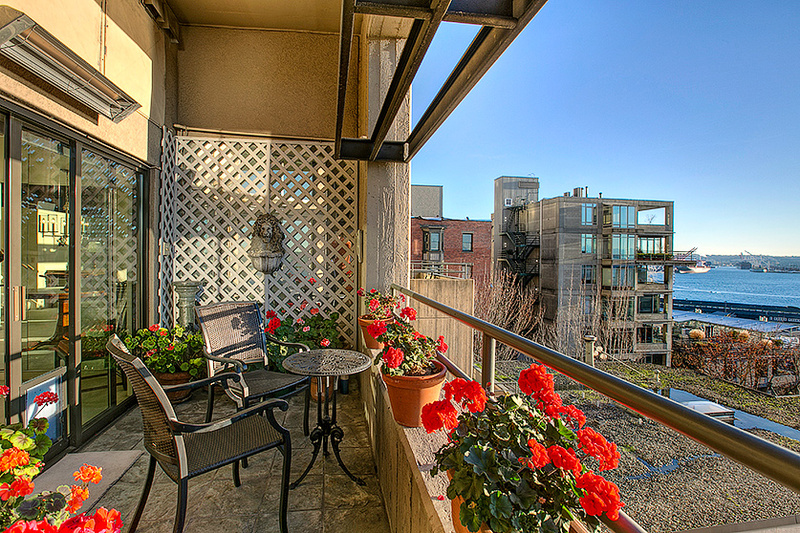 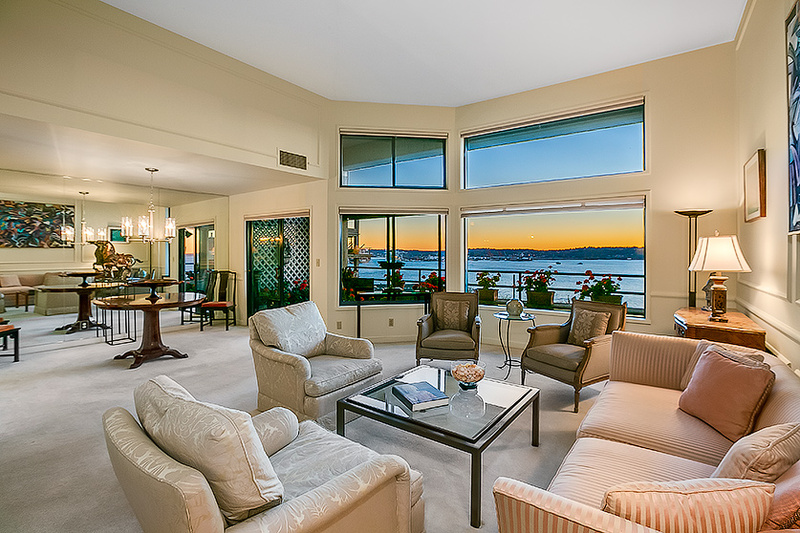 Abundant light and unobstructed water views from this elegant home perched above Pike Place Market. 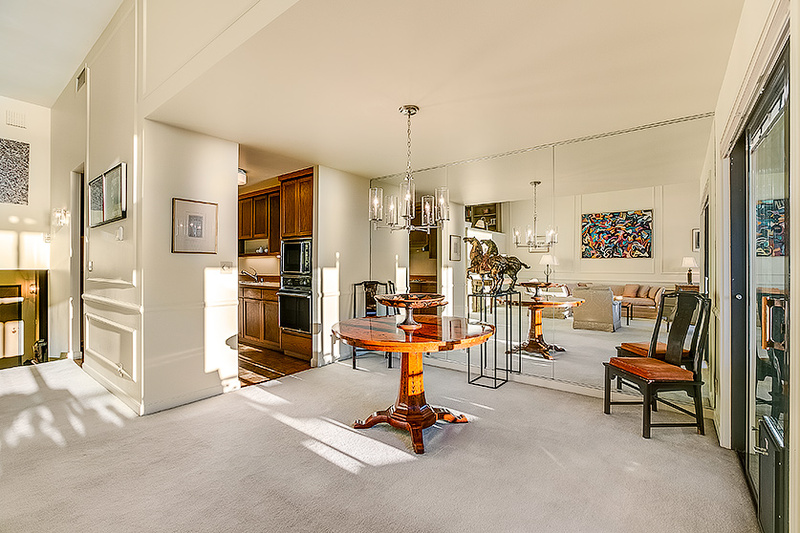 Featuring high ceilings, generously proportioned living spaces with classic applied mouldings, library, plus office with custom built-ins. 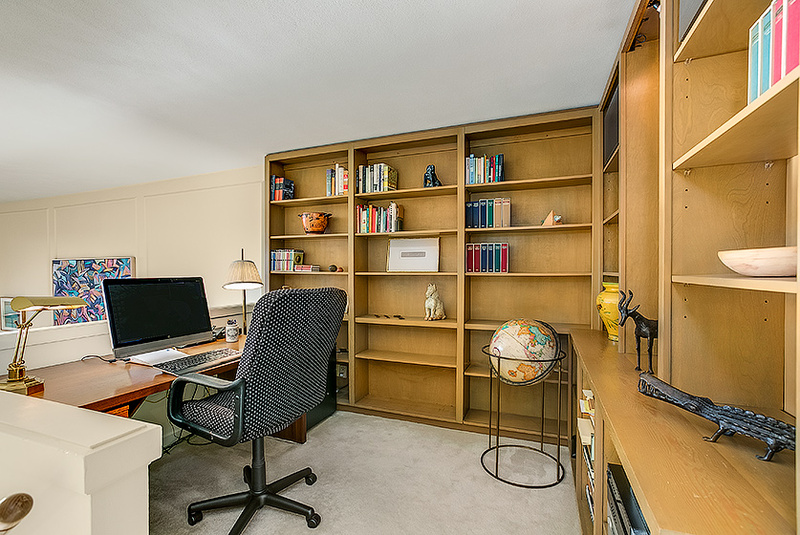 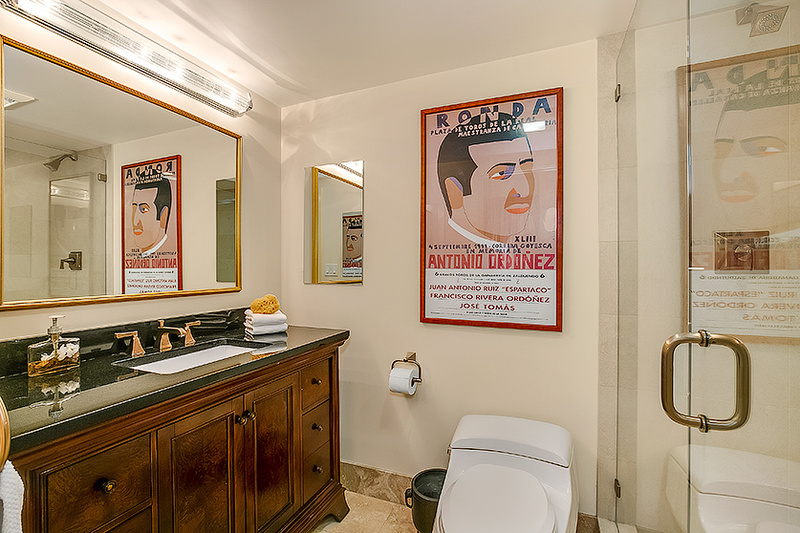 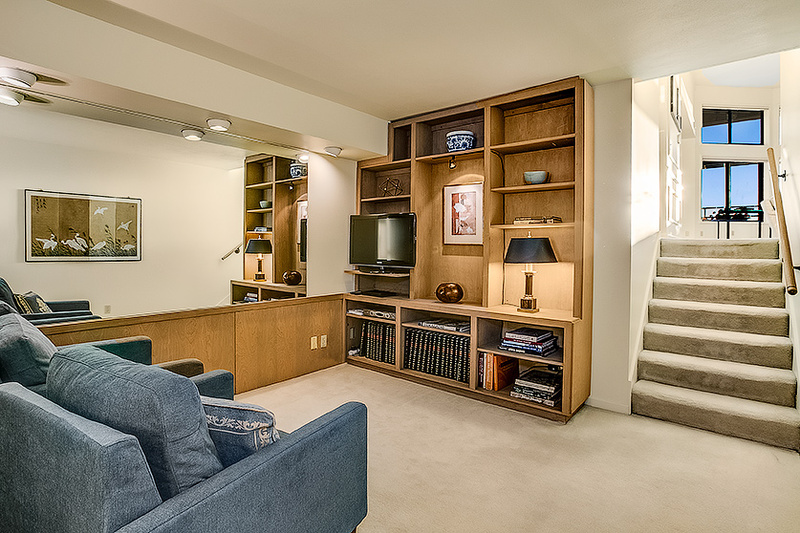 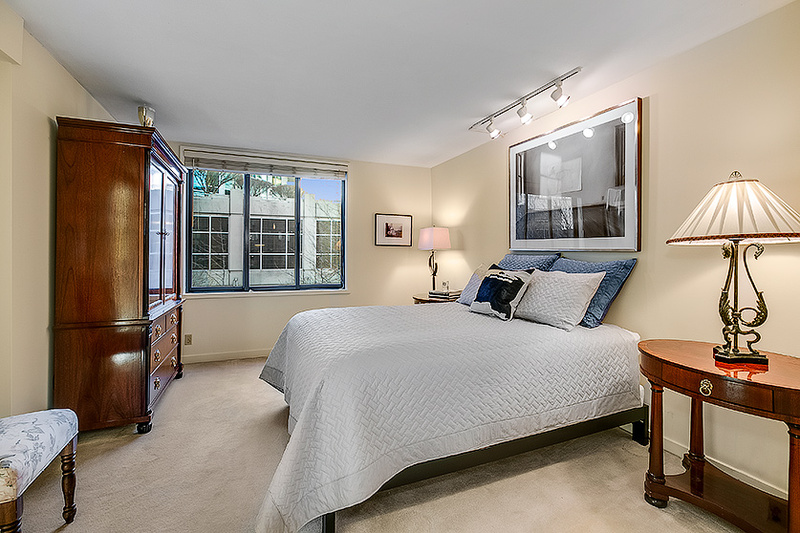 Lovely master on upper level with coveted walk-in closet and a chic ensuite bath. 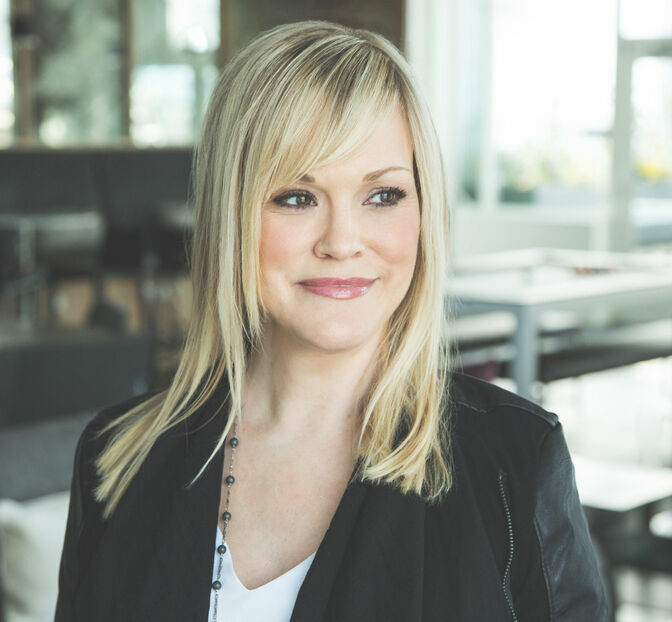 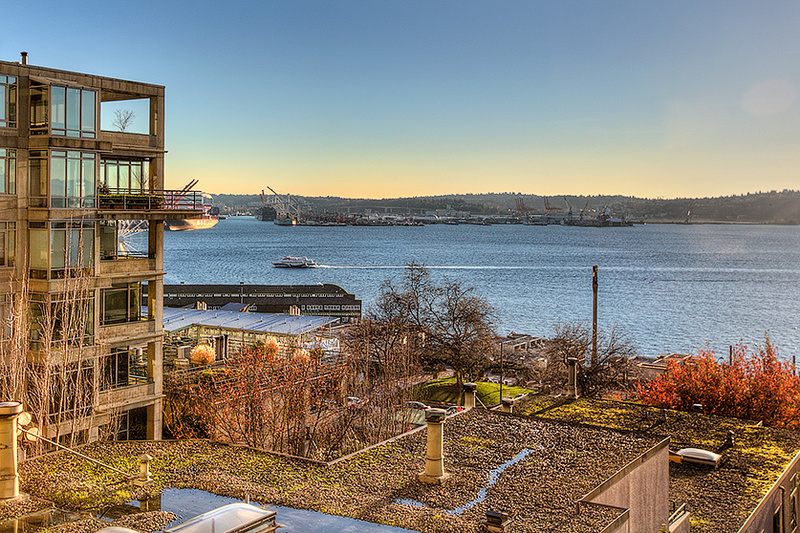 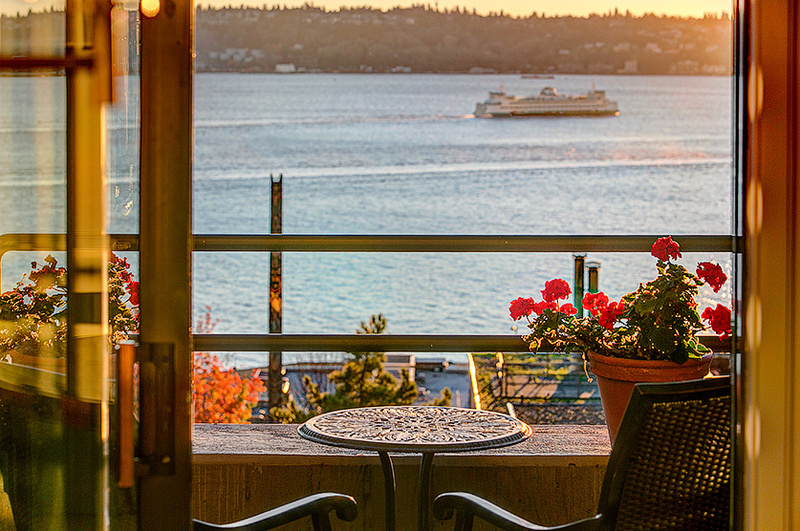 Watch the sunset over the new Seattle Waterfront from your private deck. 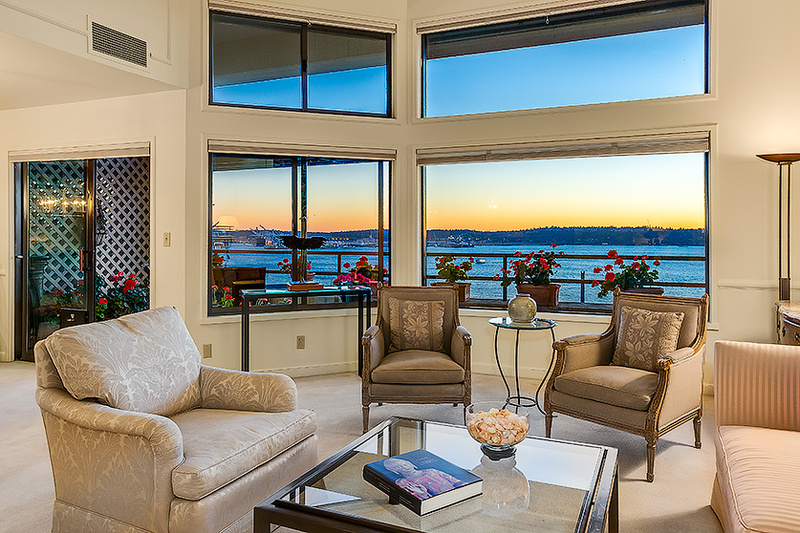 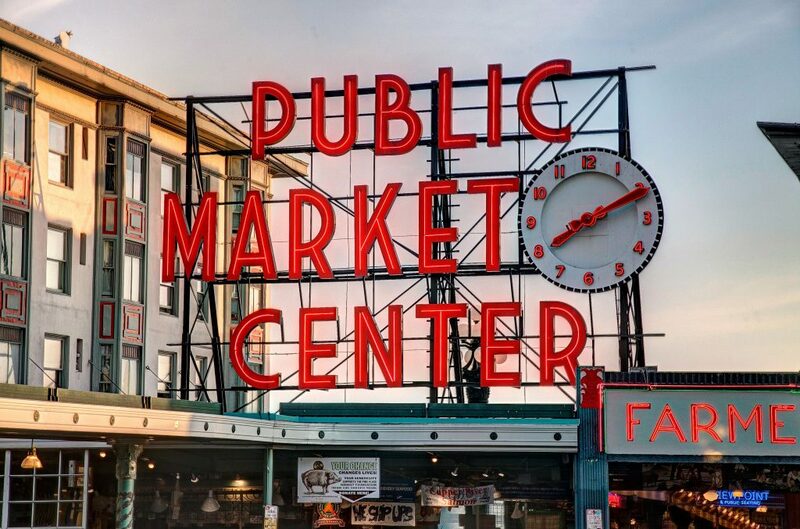 Realize your dream of living in The Market! 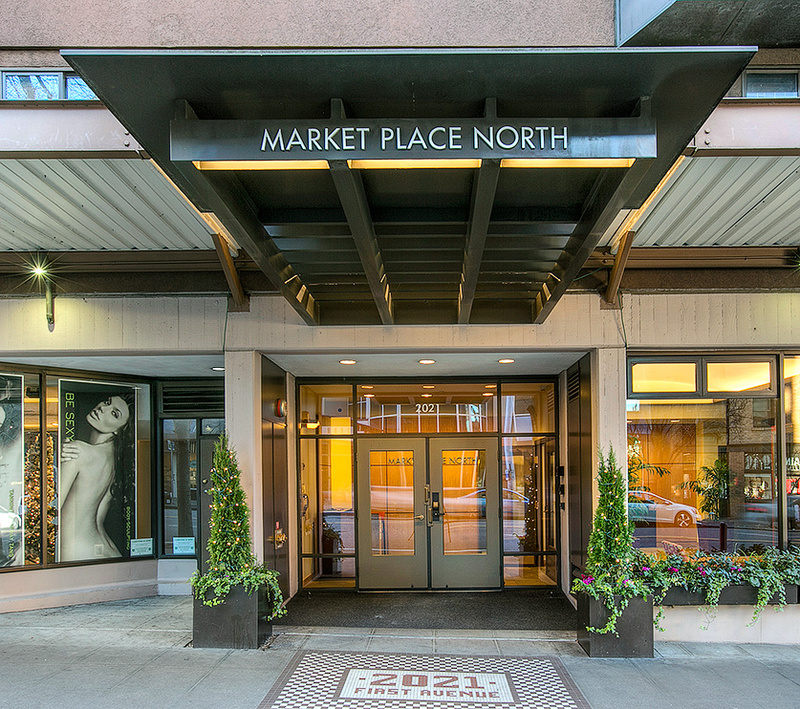 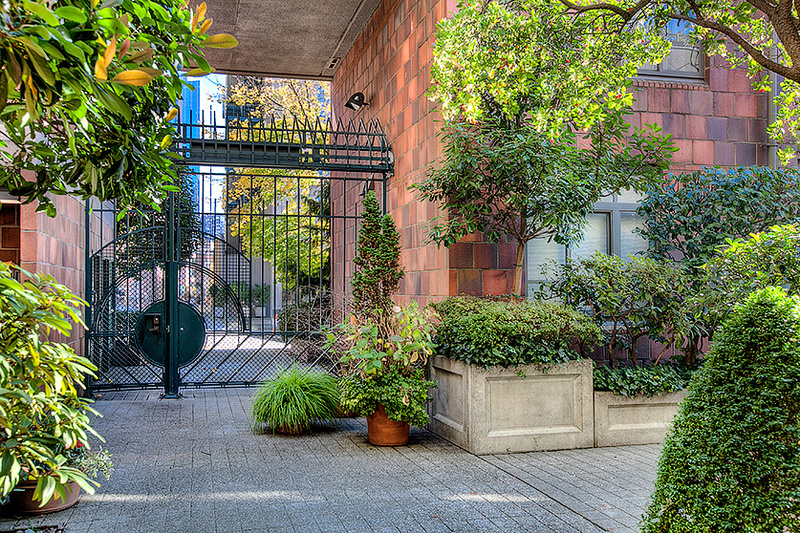 Market Place North residents have exclusive garden gate access at Post Alley. 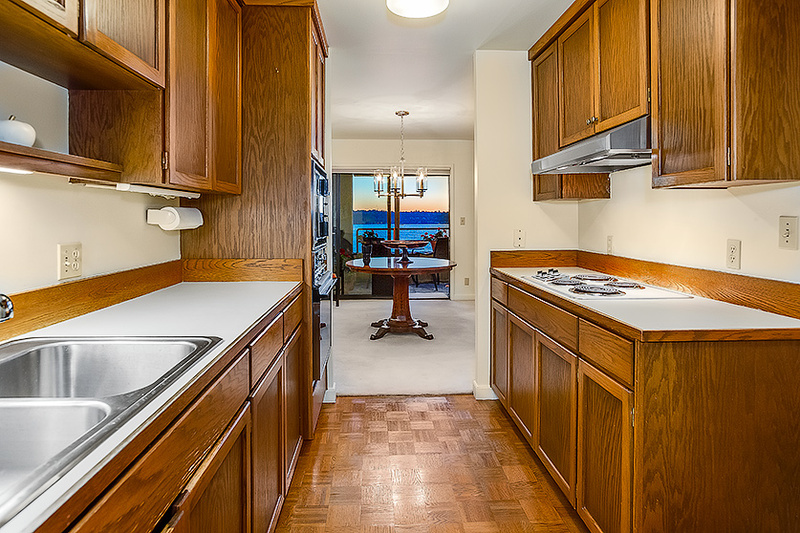 Includes 1-car parking, storage & rare central A/C!